April is National Volunteer Month, and we celebrate our dedicated volunteers who enrich the lives of the elders at A.G. Rhodes. Join our volunteer team! Your generosity helps A.G. Rhodes provide superior care for our aging community. A.G. Rhodes offers innovative activities and programs such as horticultural therapy, music therapy and more. Caring People, Caring for People. We offer many volunteer opportunities that will make a lasting difference in your life – and in the lives of our seniors. Welcome to A.G. Rhodes Health & Rehab, Atlanta’s and Marietta’s top nursing home provider of senior rehab services and long-term care. As one of Atlanta’s oldest nonprofit organizations, we have the opportunity to provide the highest standard of care, which includes post-surgical recovery, therapeutic rehabilitation, and skilled nursing. 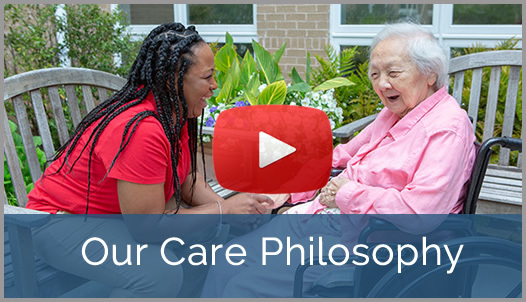 Our family of care partners greets each day – and each elder – with enthusiasm and compassion, proudly upholding a legacy of offering a healing, home-like atmosphere.